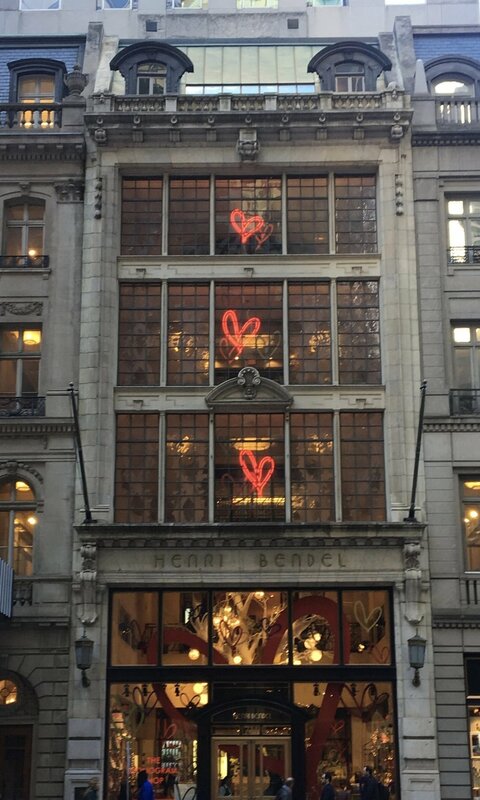 Retail giants like Cartier, Henri Bendel, and Harry Winston understand the importance of their brands and their buildings are no exception. With tourists and architecture junkies alike, most are clamoring to take pictures of these decorated buildings during this time. Below is a sneak peak at the facades of 5th Avenue. Our next stop was the stunning Frick Collection. The Frick is a must-see every time we go to NYC. Although pictures are prohibited from the inside and littered with priceless pieces the exterior is just as impressive. The building was constructed between 1912-1914 by Thomas Hastings and is located between 70th and 71st Street and Fifth Avenue. It is a Beaux-Arts architectural style and was always intended to be a showpiece of Henry Frick's fine art collection after his passing. Lastly, we strolled through the West Village, one of the coziest and most expensive neighborhoods in Manhannatan. The village had rows of gorgeous townhomes and tight-knit streets reminiscent of Georgetown. With the evening light peaking through it was the perfect ending to a gorgeous and architecture-filled day.